Welcome to Quick Lit, where we share short and sweet book reviews of what we’ve been reading lately. I’ve been reading heaps of early 2019 releases this month, but today I’m sharing books that are already on bookstore shelves. And I didn’t notice something unusual about my list until this morning: half of the books are romance (or romance-ish) novels! For those of you who keep telling me to give the genre some more love, I hope you’re happy to have convinced me. What have YOU been reading lately? Tell us all about it in comments or share a link in the comments to your post on what you’ve been reading lately! One Day in December has been on my TBR list! That one looks great. 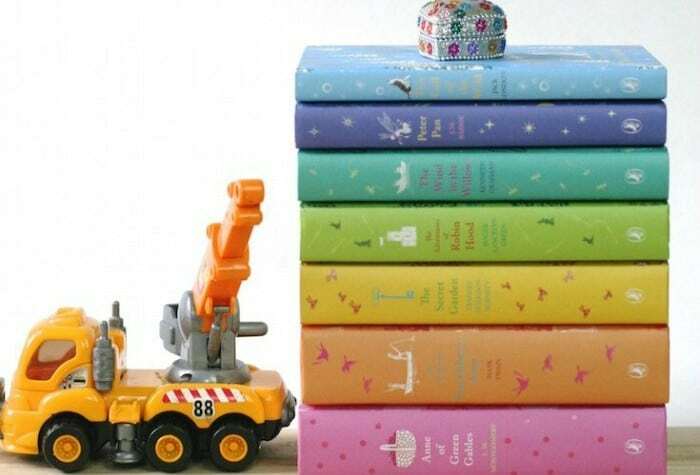 I’m sharing a mix of books for adults and kids that I’ve been reading lately over on A Bookish Home: https://abookishhome.com/2018/11/13/what-ive-been-reading-4/. 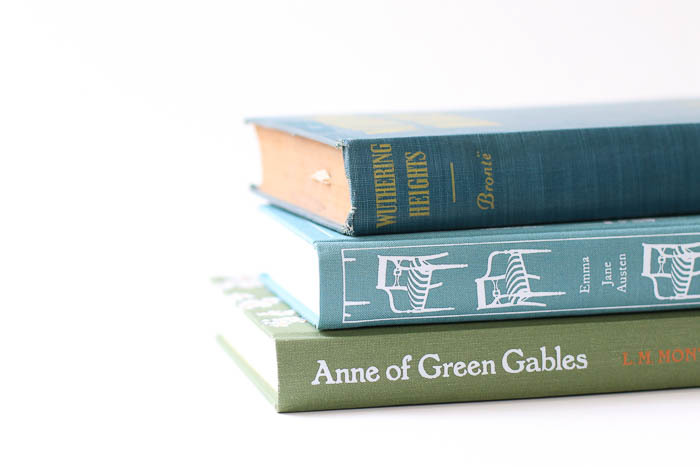 Anne of Green Gables fans in particular might like one of my recent reads! I’m going to have to check out the new Moriarty! Thanks for the rec! 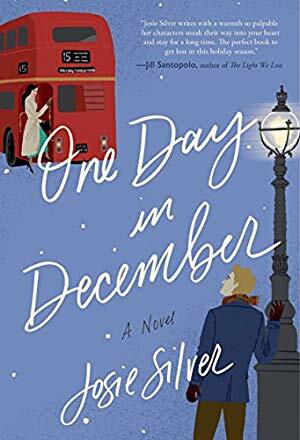 One Day in December is on my Christmas Reading List for sure! It sounds like such a lovely read, perfect for curling up with a good cup of hot chocolate too. I can’t believe we’re heading towards the end of the year with monthly round ups! Currently reading “Pride” and “unequal Affections,” two Pride and Prejudice re-tellings. I read over 20 books last month, and I’m on-track to equal that this month. 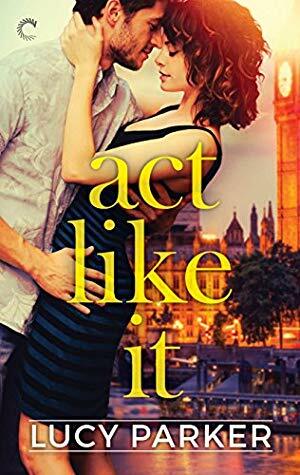 Act Like It by Lucy Parker is one of my favorites! So glad you liked it! One Day in December & Nine Perfect Strangers are both on my TBR. I recently read Joan Didion’s Slouching Toward Bethlehem. It’s a great essay collection with timely takeaways even 50 years later. 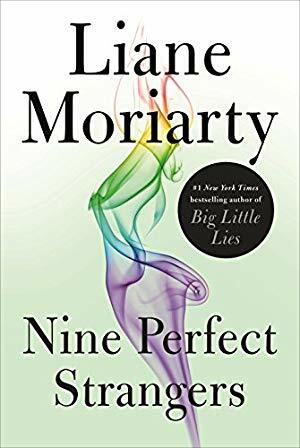 I’ve been meaning to read Liane Moriarty for a long time – everyone always has good things to say about her but I haven’t picked one of her books up yet. I am currently Peace Like a River and can’t wait to read Virgil Wander! I have really enjoyed Peace Like a River, it is incredibly well-written. I loved Virgil Wander! Peace like a River is one of my favorite books, so I held high expectations before I read it. It didn’t disappoint. Also, Leif Enger has a beautiful instagram account worth following. Yes, Peace Like a River is so good. 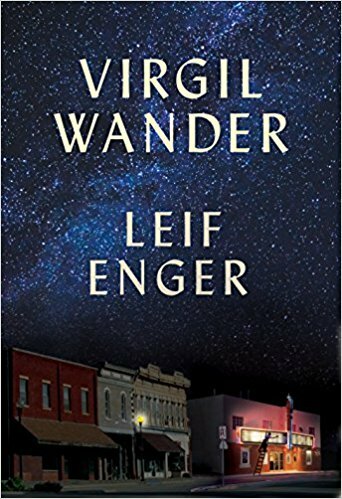 I just finished Virgil Wander and loved it as well. I have not read his second book (So Brave, Young, and Handsome) but I must get to that one soon. So glad to find others who loved A Place for Us. What a great book. Definitely in my top 3 of the year and although I haven’t finished 200,I’m way over 100 for my first year ever. THE LIBRARY BOOK. Part ode to readers and libraries, part history lesson and part dectective novel, I promise you won’t be able to put it down. I’d like to second this! I loved The Library Book and have bought a couple of copies for the bibliophiles in my life. Your description is very good. A lover of libraries and books, for me it was immersion reading. I rarely do that with non-fiction. Sounds perfect! Thanks for the recommendation, Patricia. I also got my hands on Nine Perfect Strangers when it came out! Here’s what else I’ve been reading. I love the Maisie Dobbs series. I am on number 12! 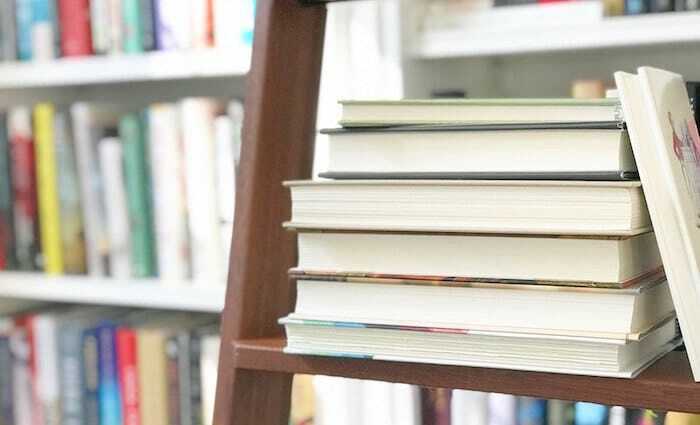 Pingback: Books in Progress: What I'm reading Right Now - November 2018 - Read. Eat. Repeat. Adding ONE DAY IN DECEMBER to my Christmas TBR list! 🙂 Sounds cute and perfect for the holidays. Also, WHAT ALICE FORGOT is tied with THE HYPNOTIST’S LOVE STORY for my favorite Liane Moriarty book. I loved ALICE right from the start, and the message in it is great. With the HYPNOTIST — I didn’t like how that book started, but I love how it turned out. It’s a dark horse! I’m sure you’ve read that one, but if not, you should give it a try! I just finished Code Girls. For me, some parts of the book dragged, but many parts of this untold chapter of history where amazing. Ten thousand women were recruited to break enemy codes and were sworn to secrecy. Scores of fake coded messages were sent to throw the enemy off. Fascinating! I just finished Light of the World by Elizabeth Alexander and you were right! It was beautiful and on Audible is was exquisite. I’m so thankful for your suggestions! I’m in the middle of A Place for Us. I started it a few times this year and, while I could see that it was excellent, I wasn’t in the mood for it. Now, I’m fully invested and it shows that there really can be a right time to read a book. I recently finished Becoming Mrs. Lewis, which I read slowly and adored as a longtime Lewis fan. I re-read Tell Me More for the MMD book club and added Corrigan’s Lift one afternoon. Both delights that I’m sure to revisit. Prior to those, I had a Joshilyn Jackson streak – The Almost Sisters, Gods in Alabama, Someone Else’s Love Story and My Own Miraculous. Streaks speak for themselves I suppose. Clearly, you’re enjoying your reading! While spending my virtual time in the south, I read Where the Crawdads Sing, which I think fully lives up to the hype. It’s very atmospheric and the characters are well drawn and unique. Excellent on audio. I loved Virgil Wander..everything about it. I’ve been reading a lot..catching up on things ivstRted etc. I’ve finished A Cold Dark Sea, Another Country, Come November, Still Life, The History of Love. Currently reading Song of Ice and Fire, Anna Karenina, Christmasxat Littke Beach Street Bakery. I finally started an Instagram dedicated to what I’ve been reading. You can see my latest books and what I thought of them there. My handle is reading_shonanigans. I recently read Georgia Hunter’s We Were the Lucky Ones and LOVED it. I’ve also read a pretty good mix of YA, literary fiction, historical fiction, and a nonfiction book about Hurricane Katrina. I am currently in school at 58 3/4’s . So my reading life has had to be put on the back burner a bit. I have snuck in a few books though. The second Mrs. Hockaday by Susan Rivers , Historical Fiction written in letter form during the Civil War is raw honest & emotional.The 2 nd one was If You Love Me by Maureen Cavanaugh is a memoir of a Mother’s journey through heroin addiction. Heartbreaking but so important to read at this time of opoid addiction in the US.I highly recommend both. Oops a Mother’s journey through her daughter’s heroin addiction. 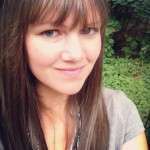 I am new to this blog and so excited to have found it! I discovering through a book recommendation from Emily Freeman and through I’d Rather Be Reading! Such a great book, Anne! I treasured my time last weekend reading it! Always great to find a kindred spirit through love of books! I connected with so many things you shared. I will be adding your current book recommendations to my never ending list of BTRs! Thanks! I always love your suggestions! Recently finished Uzodinma Iweala’s Speak No Evil. Terribly sad but incredibly beautiful. He’s an amazing writer. 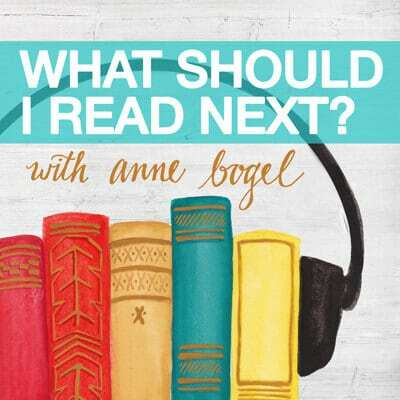 I’m currently reading YOUR book, I’d rather be Reading, as well as Anne’s House of Dreams by LM Montgomery and a nonfiction called Victorians Undone by Kathryn Hughes. I’ve been wanting to read Virgil Wander for a while! I might need to add that to my December TBR. Here’s what I’ve been reading lately. Thank you Anne for the link up! I’m reading Nine Perfect Strangers right now and LOVING it! Here’s a few of the books I’ve been reading lately! Just finished I’ll Be Your Blue Sky – at your urging. So glad I gave this author another chance. I also read an ARC of Elinor Lipman’s Good Riddance – terrific. I’m enjoying reading her back list as well. I read Virgil Wander and truly enjoyed it, but not until you mentioned it did I realize that plot twist was what was nagging at me. And I’ve been wary of 9 Perfect Strangers after Truly, Madly, Guilty – I truly did not like that one. I never wanted to hear about a BBQ again! I have What Alice Forgot on my shelf – I’m bumping it up the list! Hi Darla. What Alice Forgot is my favorite Liane Moriarty Book also. Read it. I’m interested to know how you like it. Thanks Shannon! Reading The Wondering Years by Knox McCoy and an ARC by Katherine Reay right now – What Alice Forgot is next up! I’ve got the new Liane Moriarty on my hold list! My recent reads are a mix of new, vintage, and classic. Thanks for your posts that keep me in good books! Virgil Wander is in my Quick Lit post this month too! I loved it. While you didn’t like the direction it took towards the end, I was actually ready for something “big” to happen! It was unsettling for sure, but I stayed up late turning the pages – couldn’t wait to see what the outcome would be. It was so good. I really want to read more of Moriarty’s books! I’ve only read one so far. I’m interested to know what you didn’t like about the ending of Virgil Wander! (We may have to discuss offline to avoid spoilers.) I finished it last week and thought it was very lovely. I really enjoy Leif Enger and I appreciate how he includes religion as a factor in his novels, despite it being a less popular choice than ever. One Day in December sounds like so much fun and as a linguistics major I am completely intrigued by the new Leif Enger book. This last year I have read a lot more fiction by diverse authors, but I would love some recommendations for more diverse non-fiction since I tend to read both in equal numbers. Anyone have favorites to recommend? 1. If you are lucky enough to have a good public library, then look at lists of recommended books from years past. They will be on the shelf; no waiting. 2. When in doubt, browse the biographies, expecially autobiographies. Two favorites are Katheryn Graham and Martin Gardner. One Day in December and Nine Perfect Strangers were both already on my TBR, glad to hear you enjoyed them! Here’s what I’ve been reading lately: http://happinessinthecrapiness.blogspot.com/2018/11/quick-lit-november.html I overcame a reading slump by forcing myself to finish 5 books in 5 days and now I’m back on track! I can’t wait to read the new Liane Moriarty! I have read so many great mysteries, memoirs and new literary fiction ( my favorite genres) this fall. Link to blog post with mini reviews. Going to have to read the new Liane Moriarty now. Like you, What Alice Forgot is my fav. Here’s what I have been reading. I can’t wait to read One Day in December. My favorite reads of October were Small Fry by Lisa Brennan-Jobs (a beautifully written coming-of-age memoir by a woman who just happens to be the daughter of Steve Jobs) and Bad Blood (a GRIPPING and unbelievable true story set in Silicon Valley). I also FINALLY read All The Light We Cannot See which I had written off at some point, thinking I was done with WWII novels. So beautiful and so glad I was finally convinced to try it. Also really enjoyed Sally Field’s memoir, In Pieces. I loved All the Light We Cannot See — and yes, there are a lot of WWII novels out there. Two others I liked were The Secret Keeper by Kate Morton (amazing plot twist in that one!) and Everyone Brave is Forgiven by Chris Cleave. I’ve heard others say the Brennan memoir is very good, so I’ll have to check that one out: I really enjoy memoirs. The Lighthouse Keeper’s Daughter is a great read! ⭐️⭐️⭐️⭐️? Anne I recently read the most delightful off-the-radar book. A Dog’s Life by Peter Mayle. This is a memoir style story told from the point of view of a somewhat philosophical dog. It’s light and fun and hilarious if you picture the author sitting at a desk looking at his dog and trying to imagine what dialogue must be going on inside the dog’s head. I don’t think I ever would have come upon this if not for a reading challenge category of best sellers from the 1990s. Most everything on the NY Times best seller lists from that decade was either something I’d already read or something I wasn’t interested in reading. I came upon this title and I’m so glad I did! This would be the perfect recommendation the next time you have a podcast guest that wants something fun but not too saccharine or fluffy. Just finished The Alice Network, which I loved, finally! a historical fiction piece NOT focusing on WWII–though it’s discussed in the book. It focuses more on women spies in France during WWI. There is a parallel story involving WWII, but the stronger story is about the WWI spies. Am just starting Into the Water and Killers of the Flower Moon (for my book group although there is NO way I will finish it in time before our meeting this month! ? Caught an oops. :). Peace like a River was published almost _20_ years ago in 2001. Love it and your recommendations. Thanks for all your work! Yes, it was his 2nd book – So Brave, Young, and Handsome – that was published 10 years ago. I can imagine he is a slow writer, and somehow that makes me happy! This was a great reading month for me. I finished 6 books! Thanks for the great recommendations! I haven’t read Liane Moriarty but I think it’s time to give her books a try! Just finishing “Lethal White” by Robert Gailbraith which I have thoroughly enjoyed. Next up, “When the Men Were Gone” by Marjorie Herrera Lewis. PS. What Alice Forgot is totally my favorite too. I just finished reading “I’d Rather Be READING” 😉 and it was really nice. Now I’m reading “Bringing Up Bébé” by Pamela Druckerman. I’m also reading “The Complete Book of Essential Oils for Momma and Baby”. I just ordered “1,000 Books to Read Before You Die” and “Born A Crime” by Trevor Noah. I am a serial reader so I am also reading many more books at a time LOL. Here are a few of my reads for the past month. some great suggestions on the list. I’ve just discovered the Discovery of witches by Deborah Harkness and would recommend all three books in the trilogy to be added your reading pile if you not had already read them. I started Virgil Wander and was really enjoying it, but went on a trip and then had to return it to the library before finishing it! I’m thrilled you enjoyed Act Like It! I’m going to listen to the audiobook for the second book in the series while I’m driving tomorrow. I just found out that my daughter’s school is giving away free adult books in the lobby of the school. So far I’ve snatched up Running With Scossors, The Red Tent,and The Hand that First Held Mine. I read the Red Tent 11 years ago while preg angry with my first child and I’m reading it again while pregnant with #2. Has anyone else read any of these? Wow, Leif Enger’s book is enticing seeing that it has been ten years since Peace Like A River. I will have to add it to my TBR! I picked up “One Day in December” last Friday after reading this post. Loved it. I seriously have a book hangover now. This was the first book I read that you recommended. Can’t wait to try out some more titles now. Thanks, Anne!